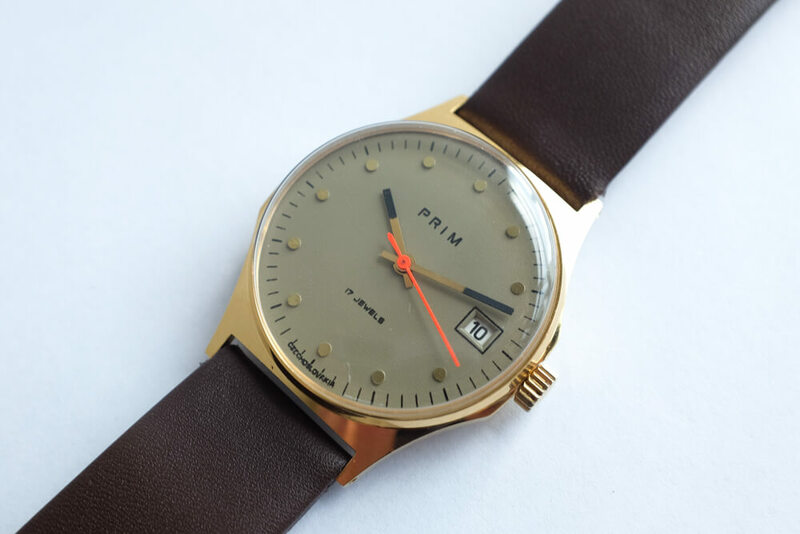 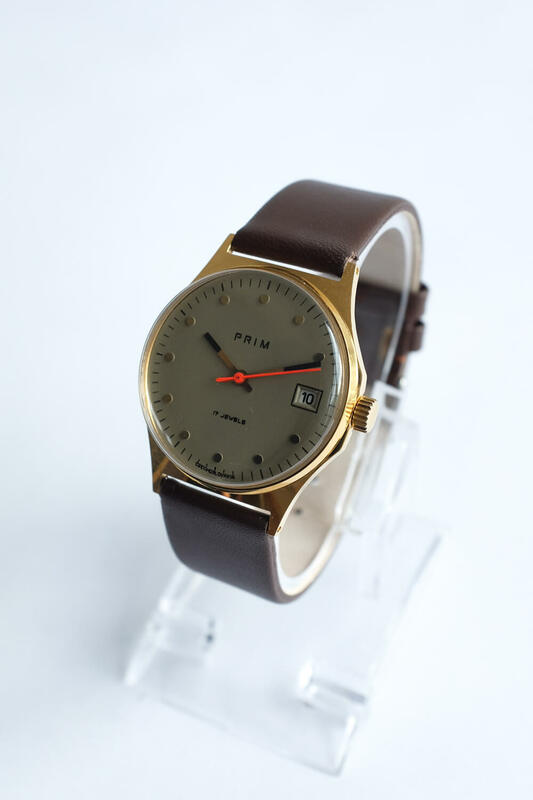 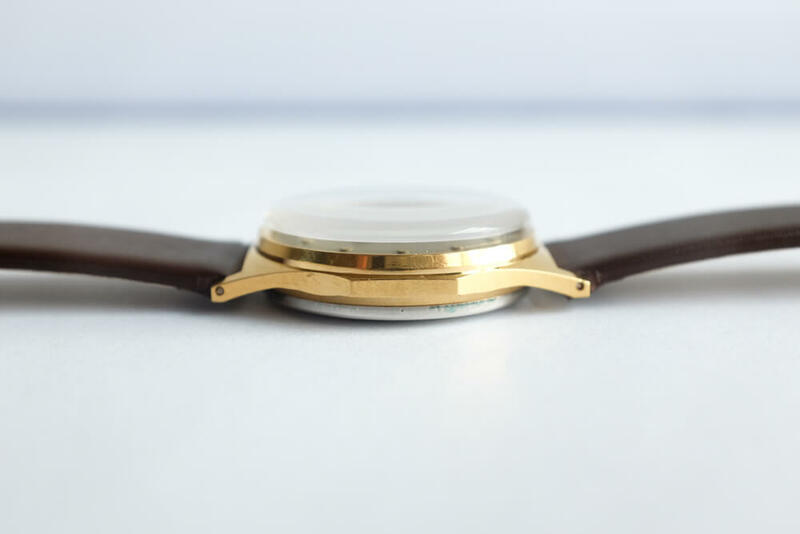 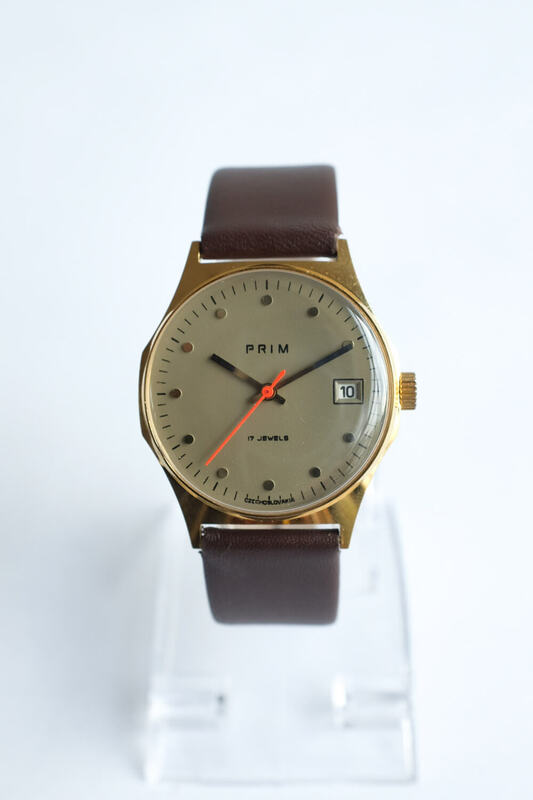 Beautiful Prim wristwatch with manual winding. 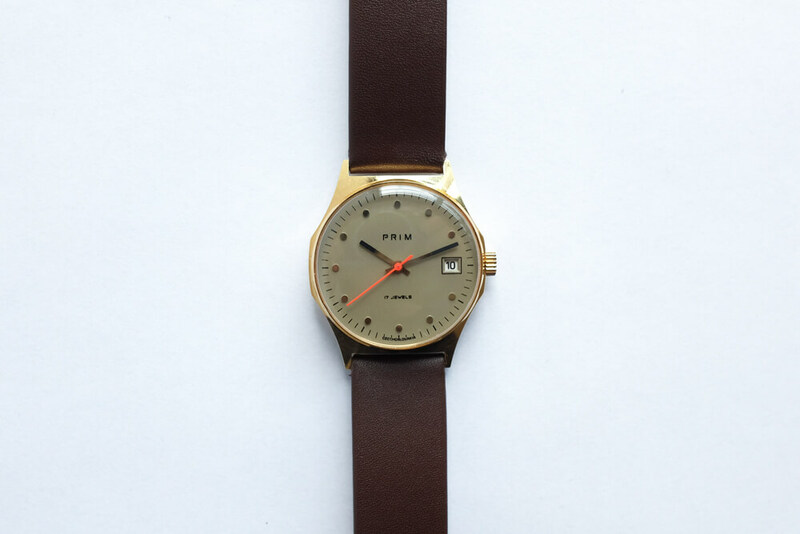 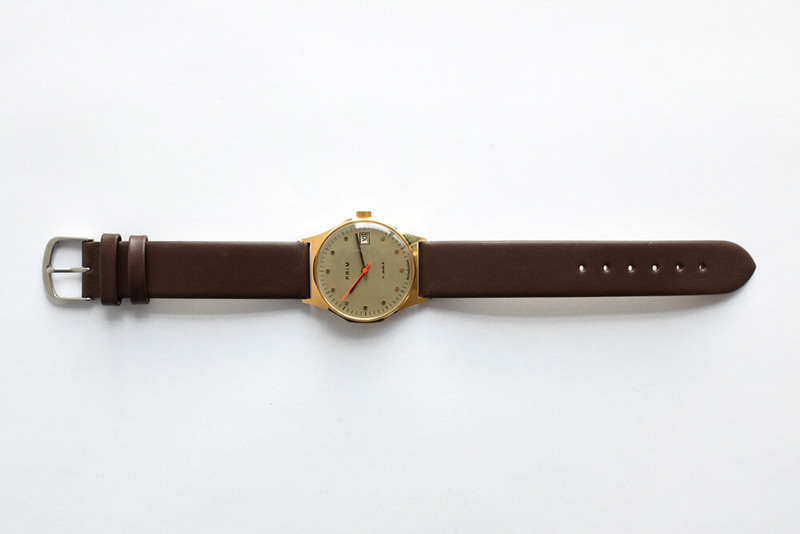 Fully revisited, with new leather strap. 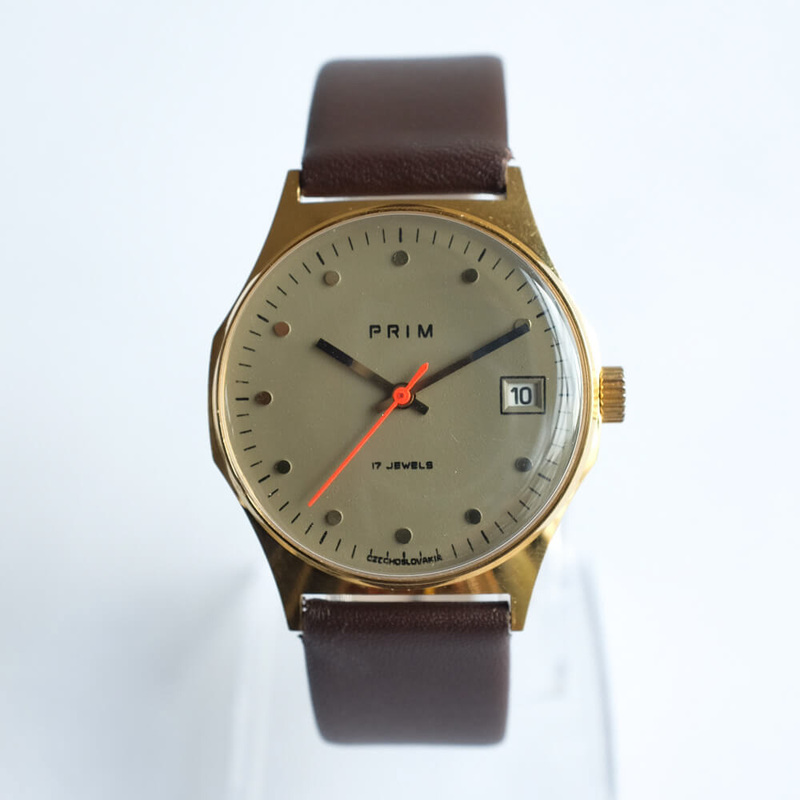 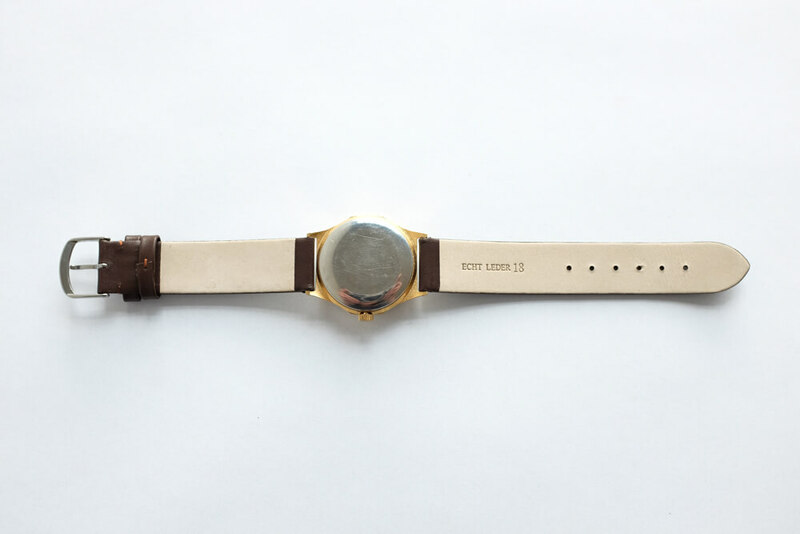 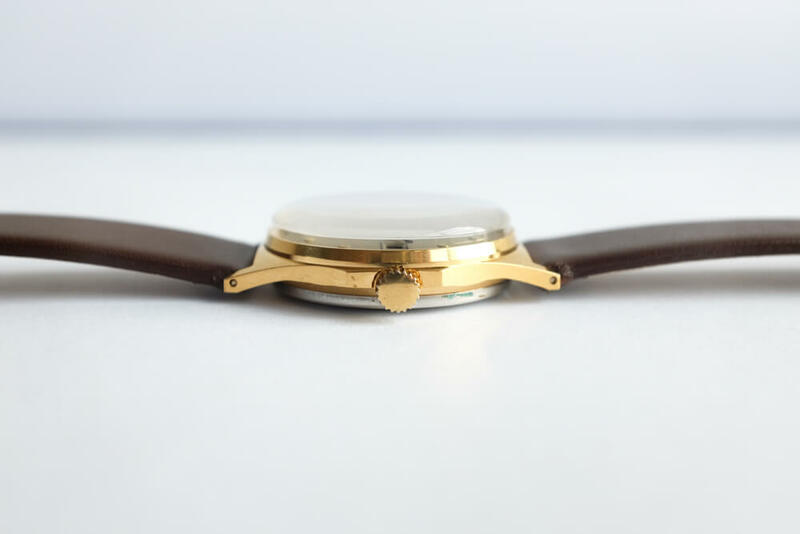 It comes with a new leather case, made according to the original one from the Prim-automatic wristwatch. 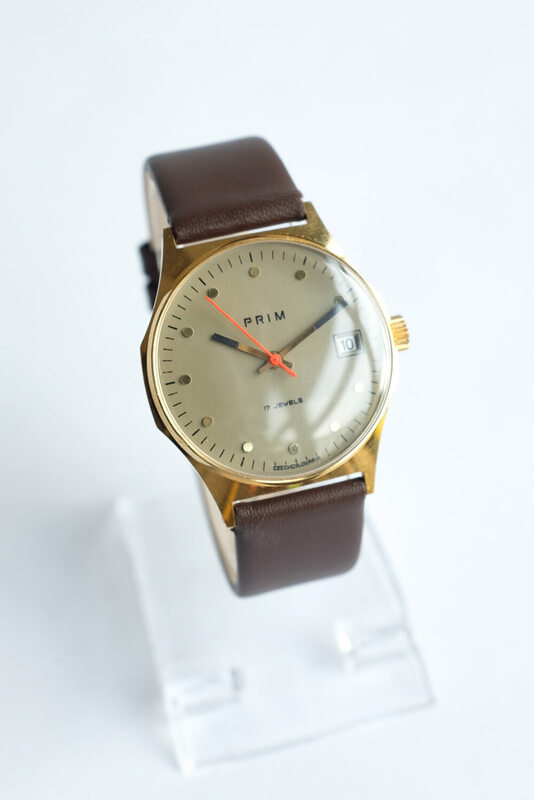 It’s not only a great gift, but also a beautiful memory.